A message from Hitoshi Tajima. Chairman of the Tajima Group. I would like to thank you all very much for being loyal users of our products. This year 2014 marks the 70th year since we launched our business as Tokai Industrial Sewing Machine, selling and repairing industrial sewing machines, and this also marks the 50th year since we became one of the first companies in the world to sell multi-head automatic embroidery machines. We owe the continuity of our business activities over these many years to the strong support of all users of our products and to the assistance of our manufacturing, sales and service partners. I would like to take this opportunity to extend our deep sense of gratitude to each and everyone. Tokai has continued to conquer new challenges ever since we developed the multi-head automatic embroidery machine. We have led the industry in the design of new functions and mechanisms, like the automatic colour change mechanism, automatic thread trimmer, lock-stitch and chenille-stich embroidery method, computerised embroidery machine and sequin devices. Our newest series released last year is already highly valued in the global market for its innovative feature, the industries first digitally controlled presser foot, which enables a level of subtlety and dynamism in embroidery expression that no one thought could be achieved before this. 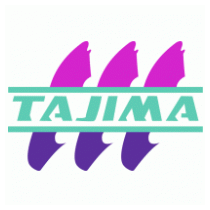 That we continue to challenge ourselves to develop and improve, is because we believe it is the very mission of the Tajima Group, unchanged since its founding to create products and services that do not exist anywhere else in the world, and thereby contributes to the growth of our new customers.